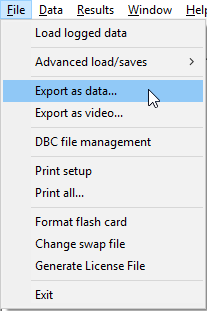 Firstly, you can export the data by entering the "File" menu and selecting "Export As Data". This will open up a window. 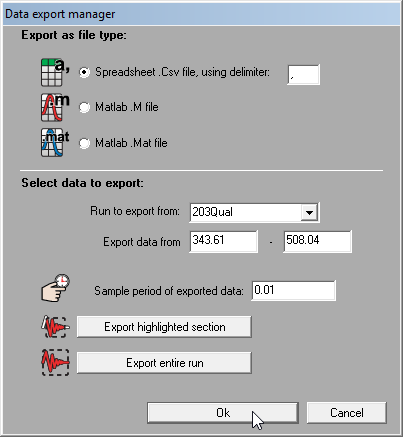 Select the file type that you wish to export to (in this case a spreadsheet), and the data that you wish to export. When you are satisfied, press "Ok". This will open another window. 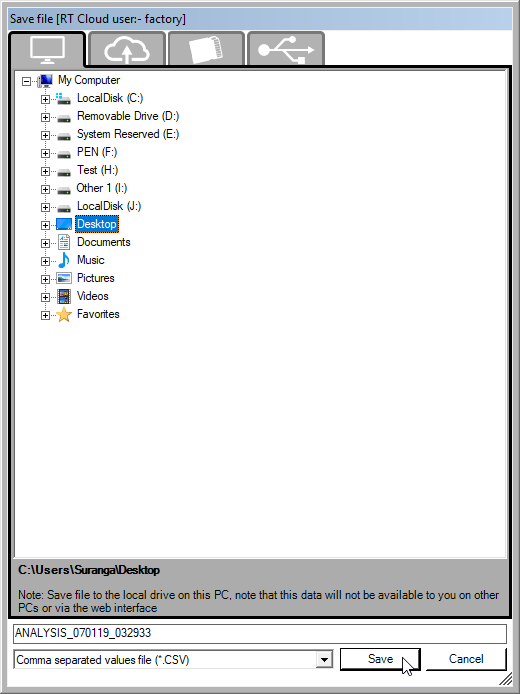 Name the file and then press "Save". 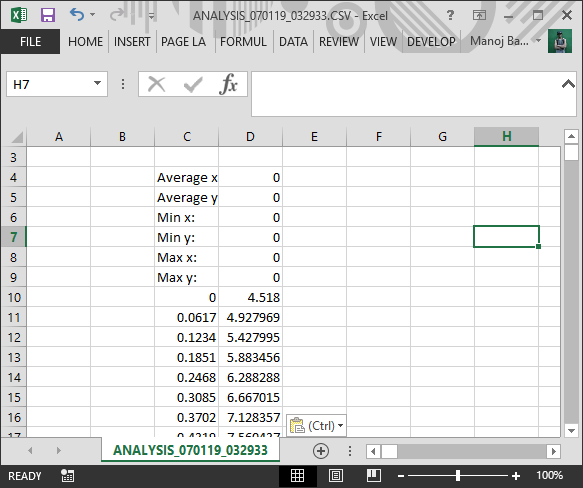 You will now have a spreadsheet containing the data that you exported. Alternately, data cat be cut and pasted directly from the analysis software into a spreadsheet. 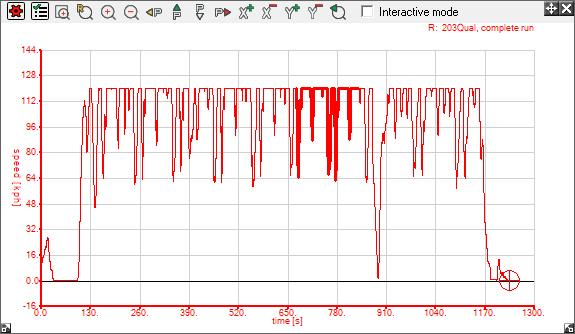 Open up an XY Graph, and highlight the data that you wish to export. Now copy the highlighted data, by pressing Ctrl+C. 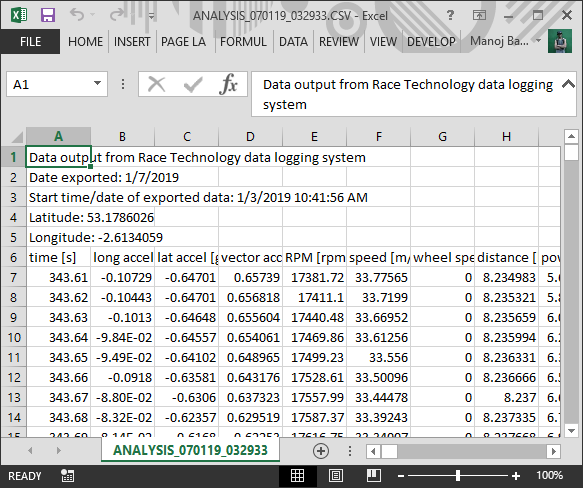 To export the data, simply open up a spreadsheet and paste (Ctrl+V) the data in.